Washing and drying my hair is an absolute chore. If I can make my hair last 3 or 4 days then I'm all for it and dry shampoo is an essential for that. 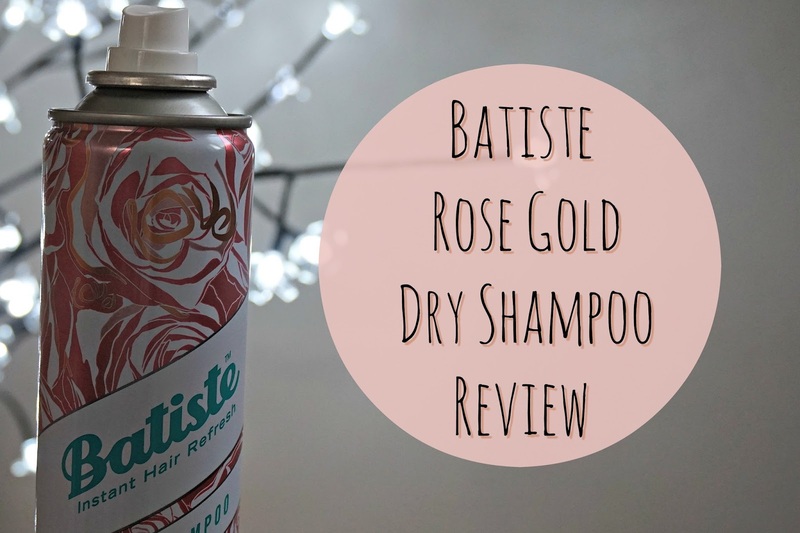 Batiste is one of the best dry shampoo brands out there. It's really affordable and actually makes a difference to my hair. I normally go for the original or blush scents but for the first time I spotted the Rose Gold Batiste on the shelves and I grabbed it. I'm one of those girls, rose gold anything. When you pick out Tropical or Cherry dry shampoo you've got a little bit of an idea about what it's going to smell like but rose gold doesn't exactly have an obvious fragrance. So what does rose gold smell like? Well if it's a Batiste rose gold then it's a fresh floral scent with a hint of vanilla. 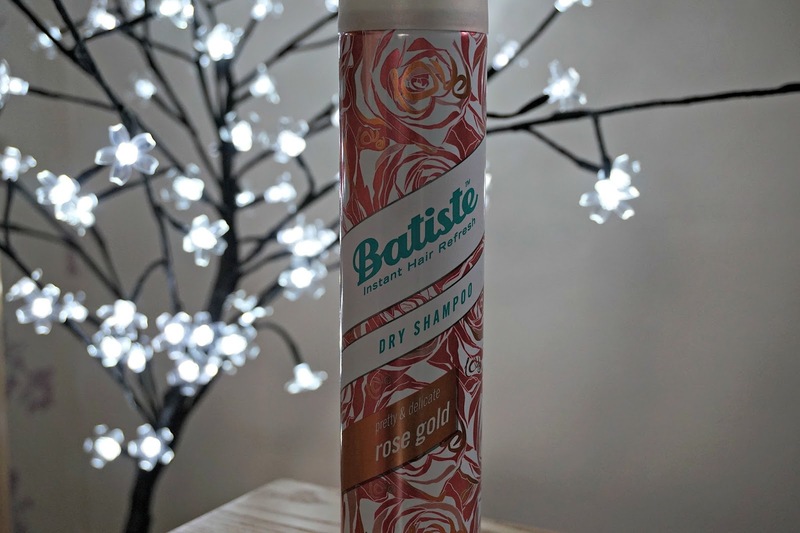 It's a really lovely scent, not too overpowering and I think it might be my favourite Batiste fragrance that I've come across so far. I don't use the dry shampoos that are designed for specific hair colours because lets face it my hair is so light that the white powder doesn't actually cause an issue but this one seems to be really white. I've started putting this in my hair the night before giving it a better chance to get to work and for the harsh white powder to go. It has been coming in quite handy for disguising my roots a little too but if you've got very dark hair then you've got to work it in quite a bit to avoid the grey look. It does do a good job of reviving your hair and giving it an extra day or two (or three if you really push it). It's not so good for adding texture or root lift but that's never my intention with dry shampoo. I bought this when it was on a better than half price offer in Superdrug bringing the cost down from £4.99 to £2.48 which is fantastic value. A 400ml can last for such a long time and when it's a beauty room essential you don't want to risk running out. Naturally this packaging is one of my favourites, pink and rose gold are my colours. I'm loving everything about the latest Batiste and I think it'll be one of their best sellers. I know I'm repurchasing!